Manitoba’s dramatic growth in the 1880s and 1890s brought equally dramatic changes to church architecture. Churches built during the earlier Red River Settlement era (pre-1870) were sturdy, simple buildings, with designs based upon ancient traditions. The arrival in Manitoba of trained architects to the new province ushered in a new sophistication of design. Knox Presbyterian is an excellent example of the evolution of the Romanesque Revival style. It features rusticated stone surfaces, round-arched windows and a pyramidal bell tower. 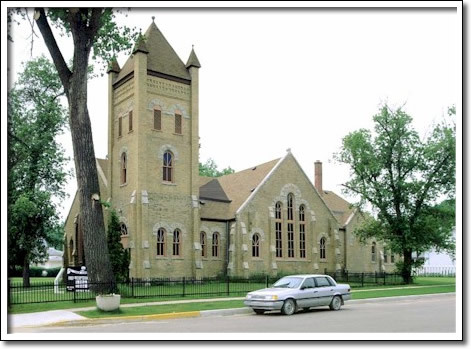 The church was designed in 1892 by Portage la Prairie architect James H. McDonald who brought a sophisticated knowledge of architectural styles, materials and details to this project.